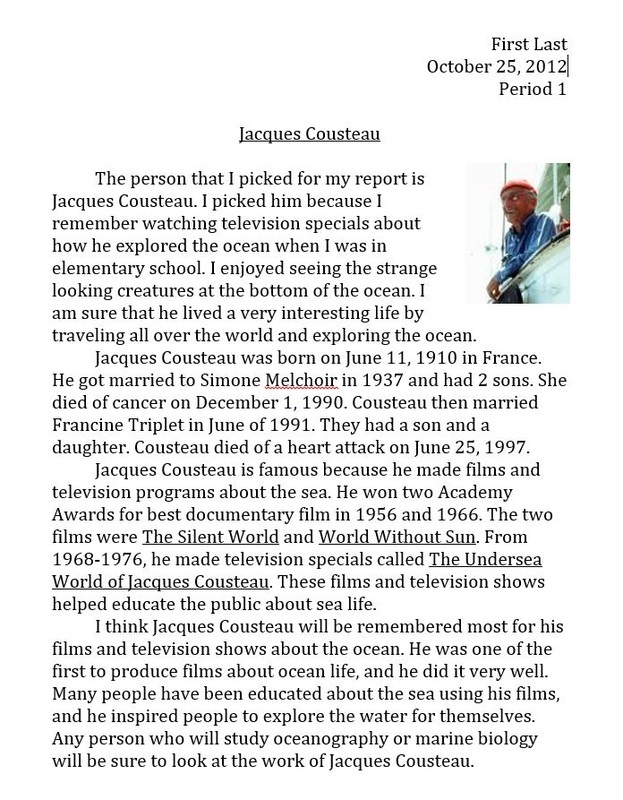 Create a report in Microsoft Word about a famous person that you can find information about at Wikipedia.org or Google.com. Download the document for your notes. Video #1 - Pick the person and prepare the notes about the individuals personal like and why he or she is famous. Below is an example of notes on a famous person. 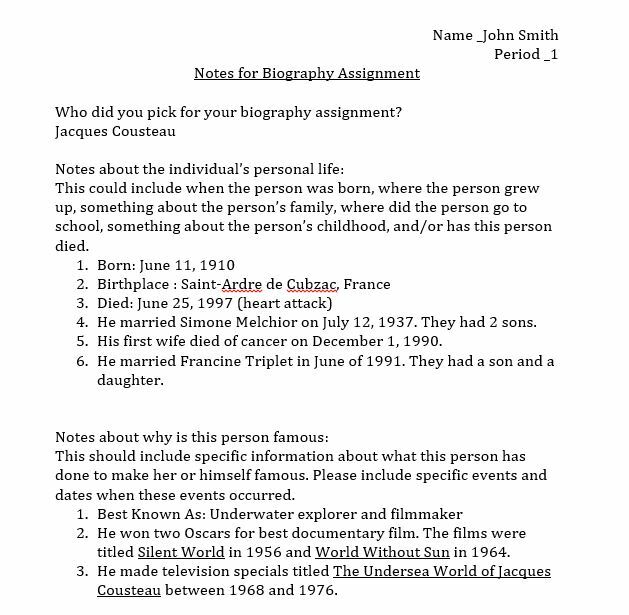 Video #2 - Start to write the biography report. 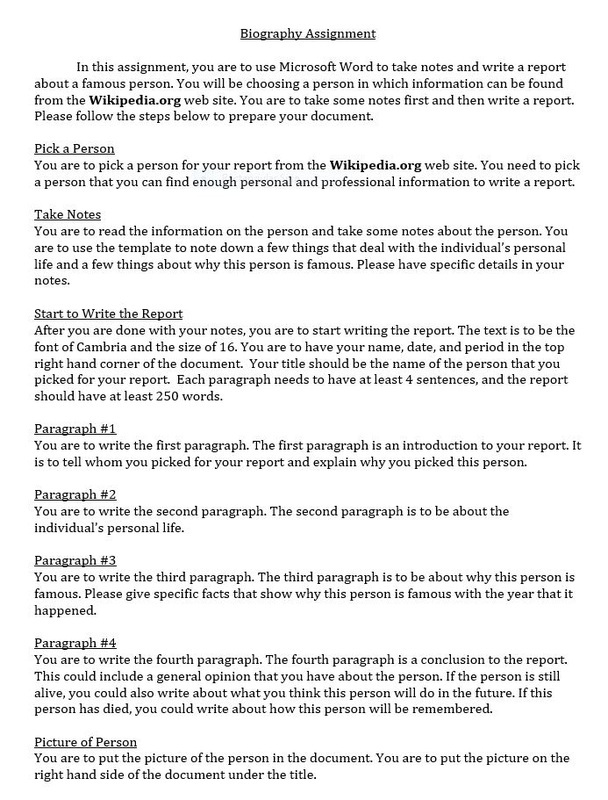 Below is an example of a report about a famous person.